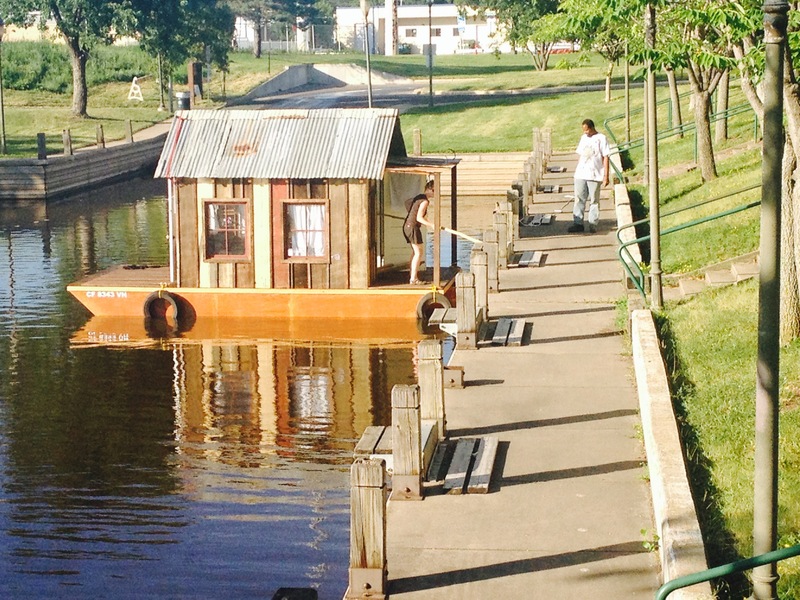 This afternoon at 5pm, after two years of building, months of planning, and nearly a week of driving, we launched the shantyboat at Boom Island in Minneapolis. But first a tiny bit of back story. We’d been driving since Salt Lake almost 48 hours straight in shifts. We hit Minneapolis last night just after sunset and were welcomed by friends in the NE neighborhood adjacent to the trainyard, the same fine folks I stayed with on my Minneapolis reconnaissance visit. We were welcomed with a warm campfire, cigars, and whiskey. Kai pulled out a bottle of her startlingly good homemade plum wine. I had ambitions to launch at crack of dawn the next morning, and Kai was wisely dubious. I choose sleep instead. After coffee, we made a list of all the many many things we still needed to do to launch. It was overwhelming. We focused on getting essential supplies. We finally got everything together and were ready to go. We were heading to North Minneapolis Regional Park, the launch I’d selected after scouting all the boat launches a few weeks ago. 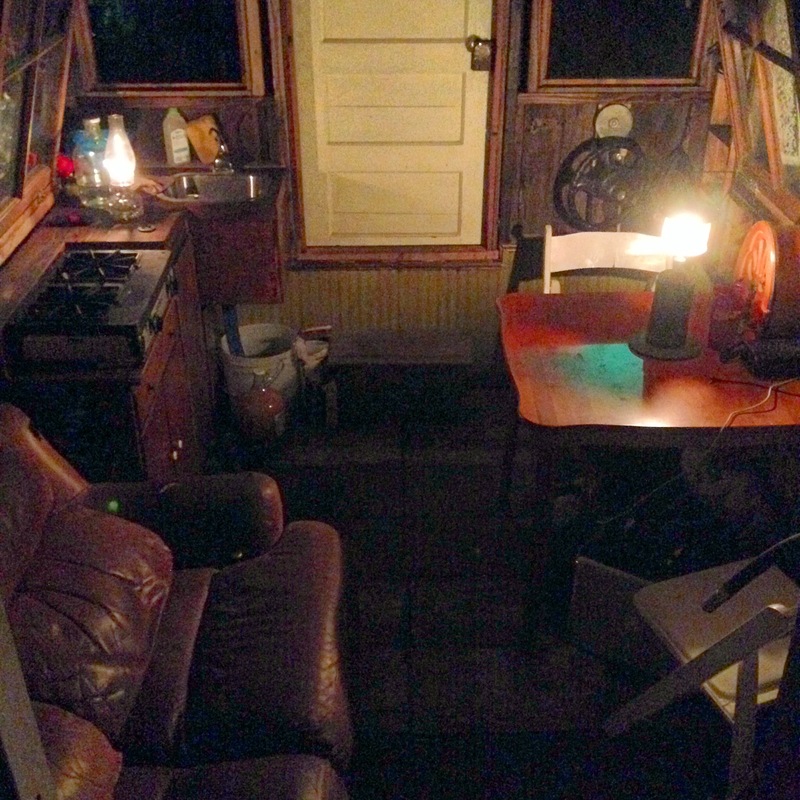 On the trailer, the peak of the shantyboat’s roof was 13’8″, but many of the railroad underpasses in Minneapolis were under 13′, requiring us to drive a serpentine route through town avoiding low bridges. On the road to our boat ramp we were thwarted by a 12′ bridge on the only road to the boat launch. Plan B. We headed to Boom Island. There was some concern that after the high water of the recent flooding, the pedestrian bridge over the channel would keep our boat from entering the river. But after measuring the water level and the height of the bridge, we thought we could make it under well enough. The boat launch went more smoothly than I’d ever allowed myself to imagine. 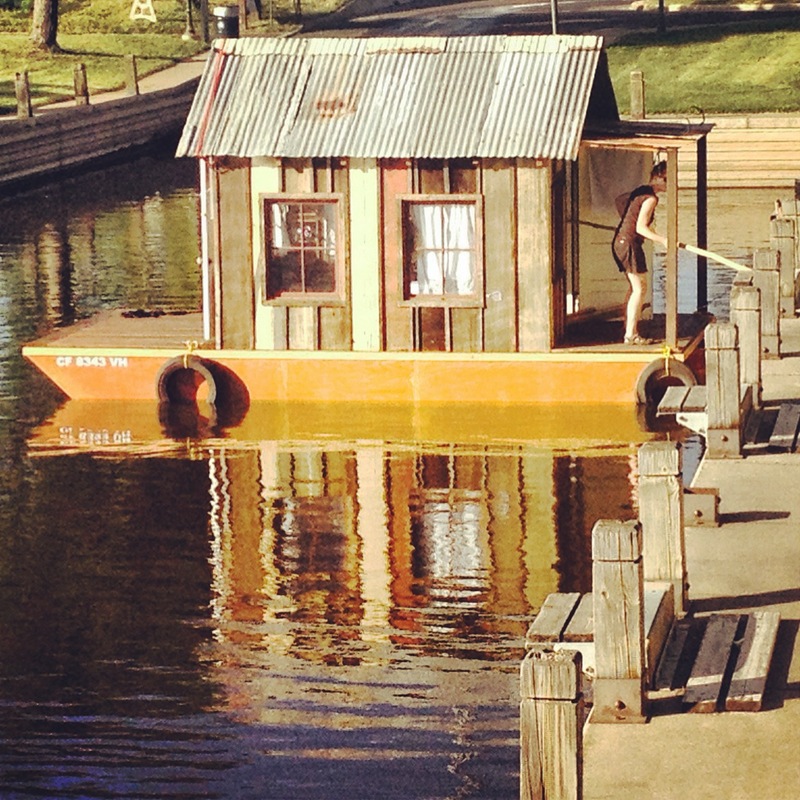 I backed the boat trailer into the water and off the shantyboat went. The boat sits beautifully in the water. 8 inches of draft. Dead stable. Perfect trim. We moored it to the breakwall and began the process of making it a home. 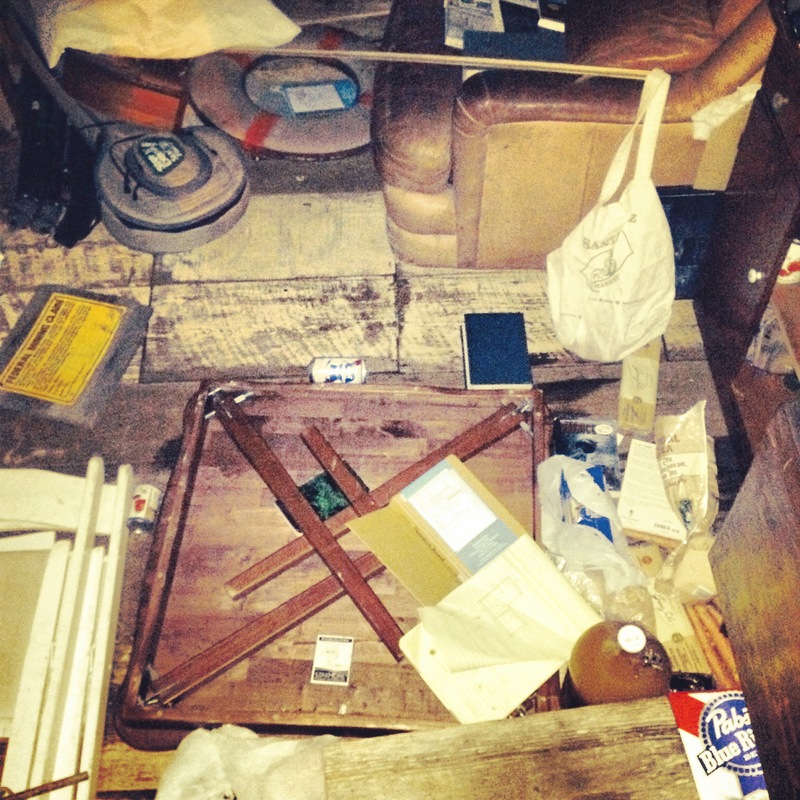 Here’s what the boat looked like inside after our 70mph sprint to Minneapolis. Books mixed with food and tools and furniture. After a morning cleaning up and after our post-launch set up, here’s what it looks like. 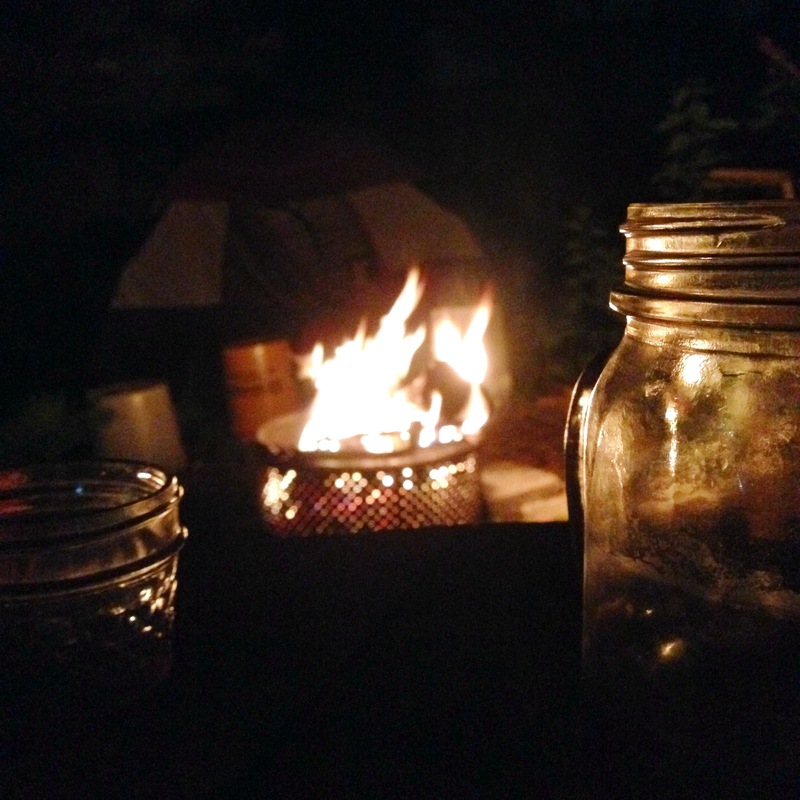 Now I am sitting with two oil lamps burning, drinking cool beer, and listening to music on the old-timey radio. I keep saying, I can’t believe it. I can’t believe it. We’ll be here for the next day or so if you want to drop by for a visit. I am devoting tomorrow to Secret History interviews. A great voyage. Grew up in Buffalo City Wi. Iive in Florida now. 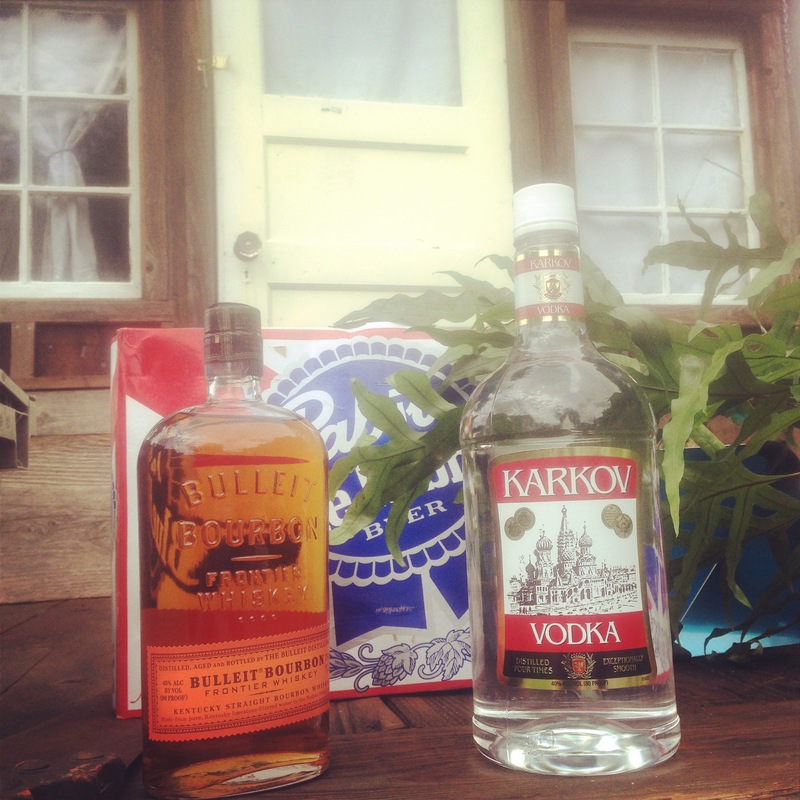 Miss the river and the people.